Dubai, United Arab Emirates: Edo Café, a Japanese based new concept café and dessert bar, hosted an evening soiree with food enthusiasts for a light chat featuring their traditional Mochi Cream. Hosted at their outlet at City Walk Jumeirah on Al Safa street, the evening affair saw the presence of socialites, food passion’istas and exclusive guests. Their signature dish, Mochi cream, was also presented and uniquely created displaying an exclusive range of frozen Mochi Cream — a delicious gourmet mochi available in an array of exciting flavors. Around 50 food lovers gathered together, caught up for a light chat and at the same time discussed their passion for creative cream treats. The guests also recorded their thoughts on the current food trends and the amazing treats available at the Café. Mochi are traditional Japanese sticky rice cakes, transformed by Edo into designer cream sweets. The Japanese inspired sweets also come with healthy benefits due to the use of natural sugar used in the desserts. Mochi sweets are low calories healthy sweets suitable for kids and adults. The selection of flavors offered at Edo together with the Mochi Cream, are incredibly sumptuous. The soft cream-filled dough makes for a truly distinct and enjoyable choice of dessert. Edo Sweet café is a unique concept café with Japanese origins. 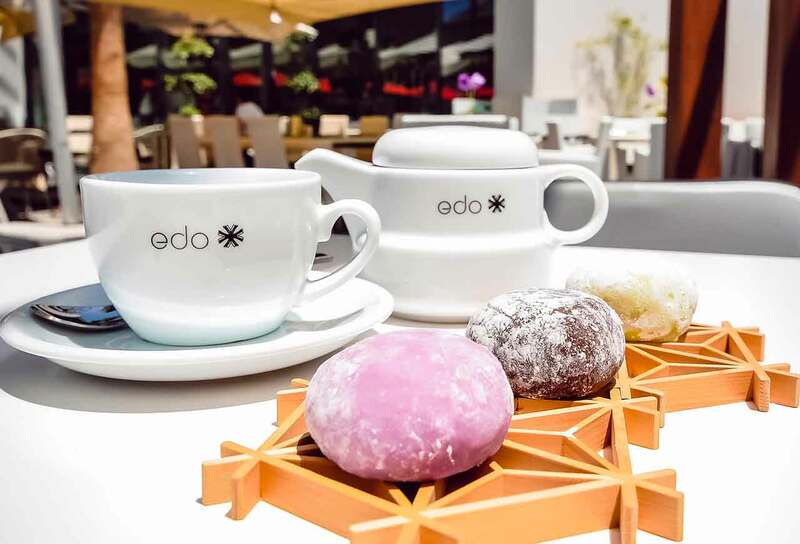 They integrate high quality Asian Mochi Cream sweets with a distinctive range of premium coffees, teas and soft drinks, in an environment of style and sophistication, Edo is set to become the hot place to be in any retail environment. At Edo cafe, you will enjoy yummy mochi that are Japanese sweets with more then 20 flavors, low calories, healthy sweets, kids and adults love them. They Edo Café is located in Citywalk Mall.